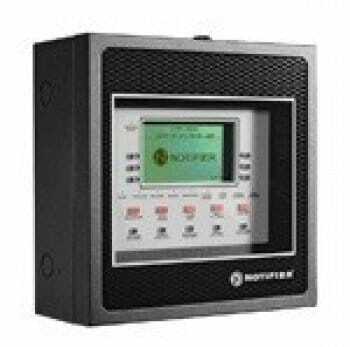 Provides access to fire alarm and evacuation system information or network-wide control. The NCA-2 is an intuitive 640-character display used to present event information from the network. Whether an event is in progress, or system interrogation is required, the large screen allows the operator to view extended information in real time—from the entire network or a single intelligent device. Individual Enable/Disable or Group Enable/Disable local and networked AFP-2800/DVC points and zones. Full supervision of all inputs and network integrity. Alphanumeric QWERTY rubber keypad with tactile and audible feedback.